If shoulder pain is throwing off your game, it’s likely that one muscle of your rotator cuff is to blame. Here I’ll give you 6 supraspinatus exercises that will help rehab your shoulder and improve your form. A shoulder injury can really throw you off – and not only by messing with your aim. 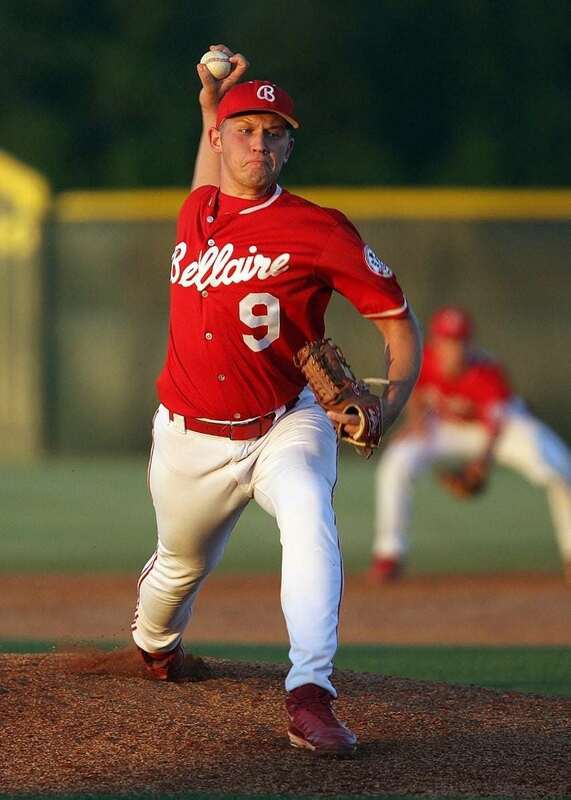 It can make it difficult to even lift that arm up, much less throw an effective pitch, pass or punch. If you’ve been feeling weak and in pain, especially when trying to reach overhead, let’s figure out what is likely going on, and then how to help you heal and rebuild your strength. Your rotator cuff is a group of four muscles – supraspinatus, infraspinatus, subscapularis and teres minor – which all connect your scapula to your humerus. Any of these muscles can be involved in a rotator cuff tear, but the supraspinatus is the most commonly injured . This muscle runs along the top of your scapula (above the spine of the scapula, hence the name “supra”spinatus) and connects to the top of your humerus. 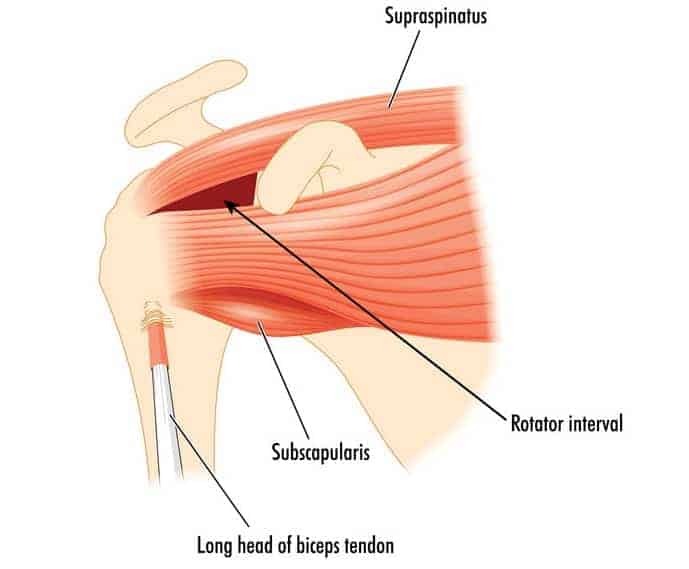 Like the name implies, the rotator cuff muscles including the supraspinatus work to rotate your arm. However, they also do more than that. They play a huge role in controlling the humeral head during shoulder flexion and abduction. This helps to keep your humerus centred in the joint, ensuring smooth movement and also preventing shoulder impingement. Individually, the supraspinatus also plays a key role in shoulder abduction, providing most of the torque on initiation of shoulder abduction from neutral and a quarter of the torque necessary to abduct the shoulder. In normal movement, your scapulae rotate upwards, tilt posteriorly and rotate externally when your humerus is elevated . If these movements don’t happen (say due to muscle weakness or an injury) the risk for further injuries and tears increases – especially when your arm is elevated. Sometimes, the cause of a supraspinatus or rotator cuff injury is clear and sudden. These cases typically involve trauma, like falling on your arm when it was outstretched, or a failed max bench press. But most cases are more of a gradual, subtle injury. These tears occur over time, thanks to a tendon being worn down by repetitive motions or poor posture. A lack of blood flow that can come with aging can also contribute to this kind of tear. And if the supraspinatus is failing to properly perform its role in maintaining humeral alignment, as may happen if the muscle is weak, you could be at a greater risk for a rotator cuff tear, and at greater risk for shoulder impingement . If your shoulder’s been feeling weak or painful when you reach up, or maybe if you just know you’re at risk for a supraspinatus injury thanks to repetitive overhead motions, it’s time to start the rehab process and build up a healthy joint. And this process starts with getting a diagnosis for your tear from a doctor. This is an important step in making sure you heal properly, so don’t skip it. However, there’s news that will reassure you. First, in around 80% of people with rotator cuff tears, no surgery is required and other methods are sufficient for easing the pain and reinstating proper function . Also, studies have shown that self-managed exercise programs are just as effective as traditional therapy for healing issues in the rotator cuff tendons . So don’t think that going to the doctor is committing yourself to going under the knife or to months of therapy – it’s not. It is however, still entirely necessary, because it’s not quite possible to tell on your own what grade of rotator cuff tear you have. Most rotator cuff tears fall into one of three grades, based on their severity. In Grade 1, the tear is only about 3 millimeters deep. In Grade 2, it’s deeper (between 3 to 6 mm), but still less than half the thickness of the tendon . In Grade 3 tears, the tear is over 6mm, or more than half the thickness of the tendon. If you have mild pain and weakness, it’s likely you have a Grade 1 injury. More severe pain or major trouble moving your shoulder points to a more severe tear . Because more severe tears require a more careful recovery process, it’s important you go get a firm diagnosis. There are some tests, however, that you can perform yourself to see if your supraspinatus is involved – the Zero Degree Abduction Test and the Drop Arm Sign. For this test, simply stand with your arms by your side. Have someone resist you (or use a wall) as you try to abduct your arm on the painful side. 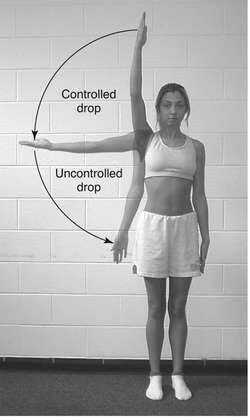 If lifting your arm away from you in this way causes pain, your injury is likely a supraspinatus issue. .
You can also test for the Drop Arm Sign. You can do this on your own by passively lifting the affected arm with your opposite arm, then lowering it slowly. If your supraspinatus is injured, your deltoid muscle will likely go through a jerky contraction to try to control the movement on its own . This will result in pain, a hunched shoulder and an arm that quickly drops before reaching the waist. 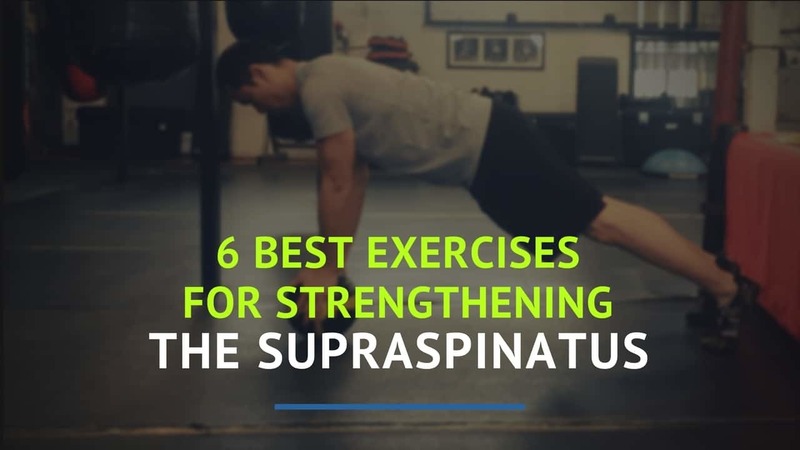 These supraspinatus exercises, which are separated into 3 levels, are ideal for building back up the strength in your shoulder and in your supraspinatus. That’s because each level utilizes both closed chain and open chain exercises to get the best of both worlds. Plus, each level progresses in range of motion, stabilization requirement and/or load, in order to build strength and intensity intelligently and safely. And the types of approaches I’ve provided here are backed by research, so you don’t just have to take my word for it. Studies have shown that PNF, or proprioceptive neuromuscular facilitation, techniques helped subjects with supraspinatus tears increase blood flow and regain function in their shoulder . And research has shown that risk of a shoulder impingement is greater with internal rotation of the arm, than with external rotation , so these exercises focus on externally rotating the shoulder and gently activating the supraspinatus. These first techniques are remedial supraspinatus exercises that to be done until there is 0 pain doing them. They’ll help encourage circulation and healing. The first move also utilizes PNF techniques to help reprogram your nervous system for better posture maintenance. The moves at this level are slightly progressed in terms of load and stability challenge. They’ll start to gently build supraspinatus strength. Grab a medicine ball and place it under your hands. These exercises further increase the challenge by introducing both a greater range of motion and bigger load, while still utilizing PNF techniques. Now we’re really cooking. Give these supraspinatus exercises a try, and be patient while doing them. Your goal at first is just to increase blood flow and provide gentle movement. Don’t move on too quickly – your efforts to speed up the healing process could only serve to set you back and slow the entire thing down, so CHILL! Move through the exercises, advancing when you feel no pain and feel ready, and your shoulder (and supraspinatus) will come back better and stronger than ever. Meaning, not only will your throw and lift probably get better, but you’ll also be at a reduced risk of future shoulder problems. If you do want to make sure you address the entire system, check out my Scap Control program. 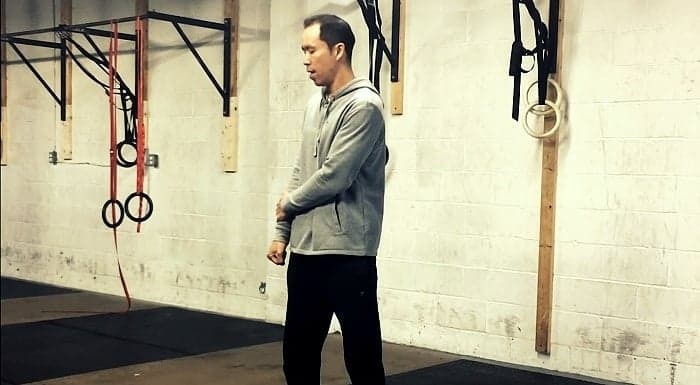 Eric Wong (aka Coach E) is the founder of Precision Movement and has a degree in Kinesiology from the University of Waterloo. He's been a coach since 2005 and spent his early career training combat athletes including multiple UFC fighters and professional boxers. He now dedicates himself to helping active people eliminate pain and improve mobility. He lives in Toronto (Go Leafs Go!) with his wife and two kids and drinks black coffee at work and IPAs at play. Click here to learn more about Eric.